This post is part of a virtual book tour organized by Goddess Fish Promotions. 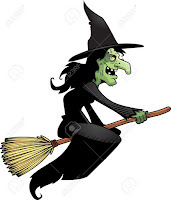 Joan Hall Hovey will be awarding a $25 Amazon or B/N GC to a randomly drawn winner via rafflecopter during the tour. Click on the tour banner to see the other stops on the tour. Julie Raynes’ husband is missing. Devastated and confused, she refuses to believe that he would leave her voluntarily, though her best friend thinks differently. However, her Aunt Alice, a psychic, tells her Adam has been murdered, and when she reveals how she knows this, any hope that Adam is still alive, dissipates. The police also believe that Adam Raynes was murdered. And Julie is their prime suspect. Her life in ruins, Julie vows to hunt down whoever is responsible for Adam’s murder and make them pay for their crime. In the meantime, David Gray, a young man who was pulled from a lake by a fisherman when he was 9 years old, wakens from a coma after nearly two decades. 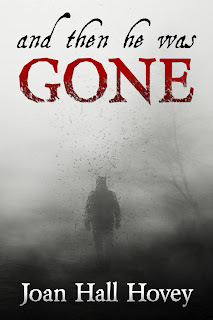 Unknown to Julie, Adam and David share a dark connection, a darkness that threatens to devour them both. Well, this is one I had a very hard time putting down even for a break. Two stories, two families with their own problems all woven into one. Did Marlene Gray believe her son would ever come out of a coma after so many years? Did Julie Raynes think her husband Adam had just walked out on all of them? 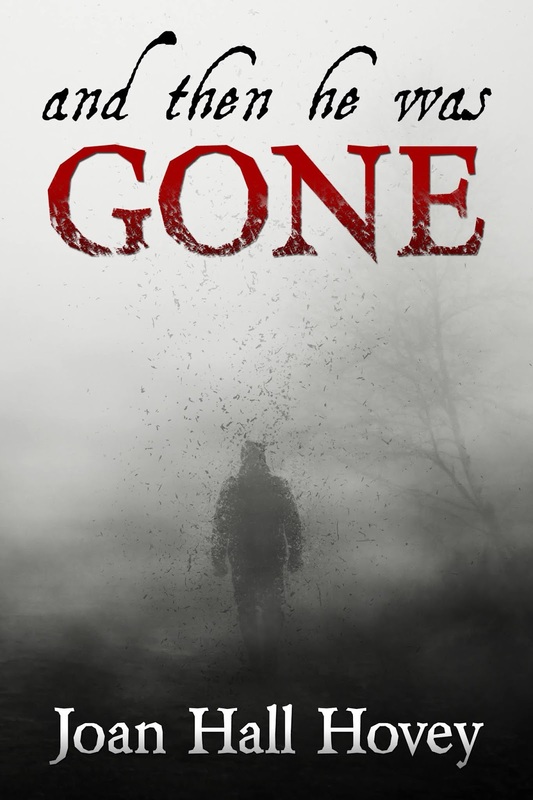 Some very sad things occur in this story and yet it doesn’t seem sad; it seems interesting, almost like a mystery, like the suspense thriller that it is. There are many twists and turns. None of them confusing or abrupt; all of them wanting to make you turn the page. I think your first thought might be that this is one of those stories where every chapter switches back and forth making you sometimes wonder who is who. But this isn’t written that way. It is written so smoothly, in such a flowing manner that all of the events are one whole storyline. Weaving the lives of two different families so gently that it never occurs to the reader. Joan Hall Hovey has written several other thrillers, all which have good reviews. This one was well worth my time to read and from her writing style I imagine the others are too. Writing gives me a sense of achievement and satisfaction that nothing else does. (Except having my babies.) And that's not a bad analogy, if not an original one. Holding your published book in your hands, (especially that first one), running your fingers over its smooth cover, tracing your name there - is heady stuff! These days of course, knowing my readers are downloading my books onto their Kindles and ipads and Kobos, and so on is just as great. For me, a dream come true, even though it's been awhile since I wrote my first book. I am drawn to explore the dark side of humanity, and my intention is to give the reader a roller coaster ride that will resonate long after the last word is read. I know that I am truly blessed to be permitted to work every day at what I most love and need to do. I think you appreciate it even more when you've had to go to those awful 9 to 5 jobs you hated, because the bills have to be paid. And I've had my share of them over the years -- hulling strawberries, waiting tables, grading eggs... (top that one). A couple of those jobs have left scars. I've been stalked by a psychotic customer when I was selling 'CAA'. (Canada's version of 'AAA'.) I've been chased around the desk by a so-called pillar of society while working as a secretary. But while I wouldn't want to repeat it, I wouldn't take back a single moment of any of it. All is 'grist' for the writer's mill. 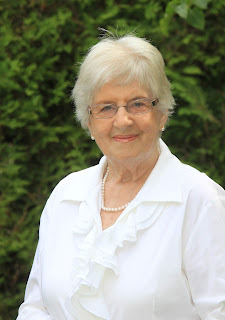 In addition to her critically award-winning suspense novels including And Then he was Gone and The Deepest Dark, Joan Hall Hovey's articles and short stories have appeared in such diverse publications as The Toronto Star, Atlantic Advocate, Seek, Home Life Magazine, Mystery Scene, The New Brunswick Reader, Fredericton Gleaner, New Freeman and Kings County Record. Her short story Dark Reunion was selected for the anthology investigating Women, Published by Simon & Pierre. Ms. Hovey has held workshops and given talks at various schools and libraries in her area, including New Brunswick Community College, and taught a course in creative writing at the University of New Brunswick. For a number of years, she has been a tutor with Winghill School, a distance education school in Ottawa for aspiring writers.She is a member of the Writer's Federation of New Brunswick, past regional Vice-President of Crime Writers of Canada and International Thriller Writers. She lives in Saint John, NB, in an uptown building over 100 years old, with her cat Bella. Aside from writing (and reading of course) She enjoys playing piano and spending time with her grandson. She is presently at work on her latest suspense novel.